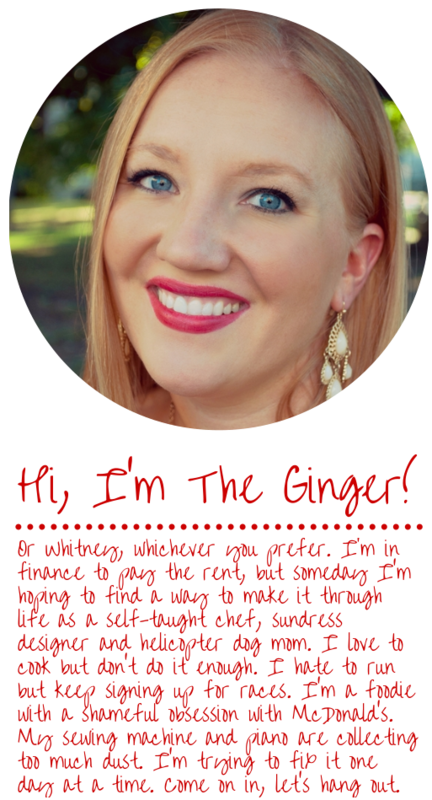 I don’t even totally know how to get back in to this blogging thing after my hiatus. I spend more time on here trying to welcome myself back than I do actually writing, and my resolution was to spend more time here. Now that I’m home and we have about 72 feet of snow, I can assure you that’s about to happen. I have so much to tell you about Australia, my food, my workouts, and more pictures of recipes and dogs begging to be shared that I can’t even start to count. I couldn’t come up with a name for this. 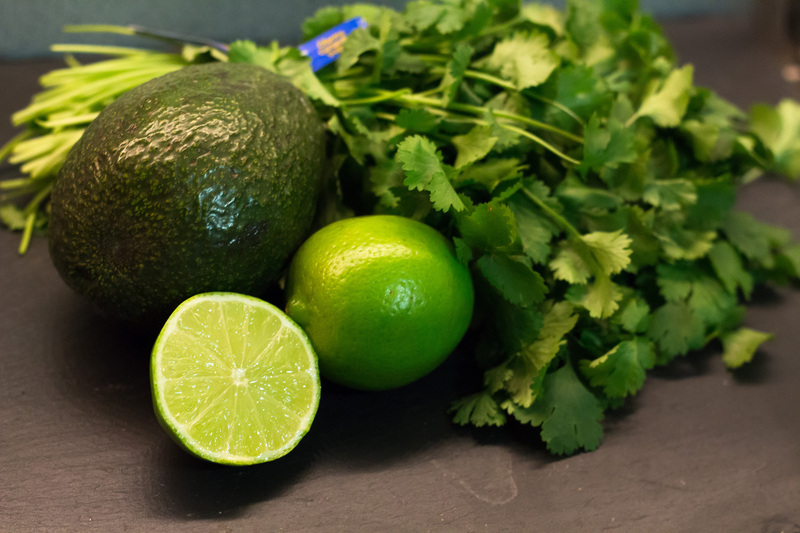 With the cilantro, lime and avocado, is it Mexican? A little. 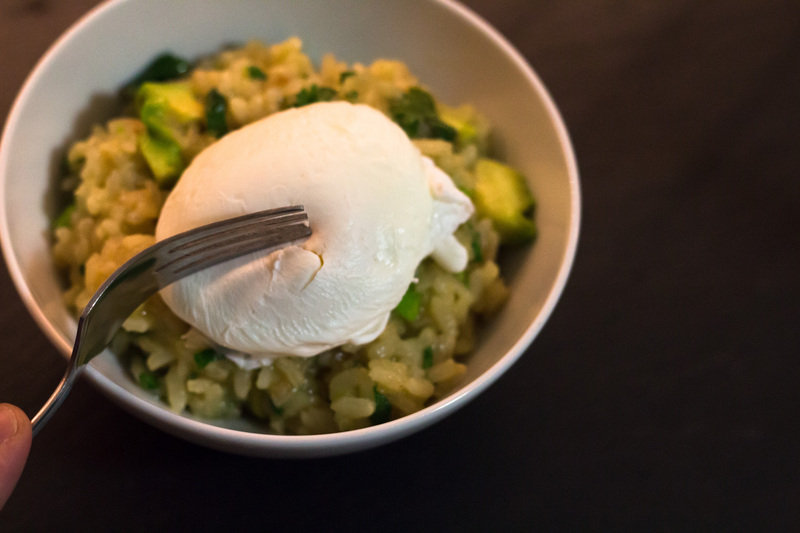 But it’s risotto – definitively Italian. And then what’s with the poached egg? Totally French last I checked. Identity crisis, I’m telling you. Here’s the recipe. I’ll share more later (like the lamb chops and mussels from Melbourne!). Prepare the risotto according to the package (or according to what I tell you, your call). 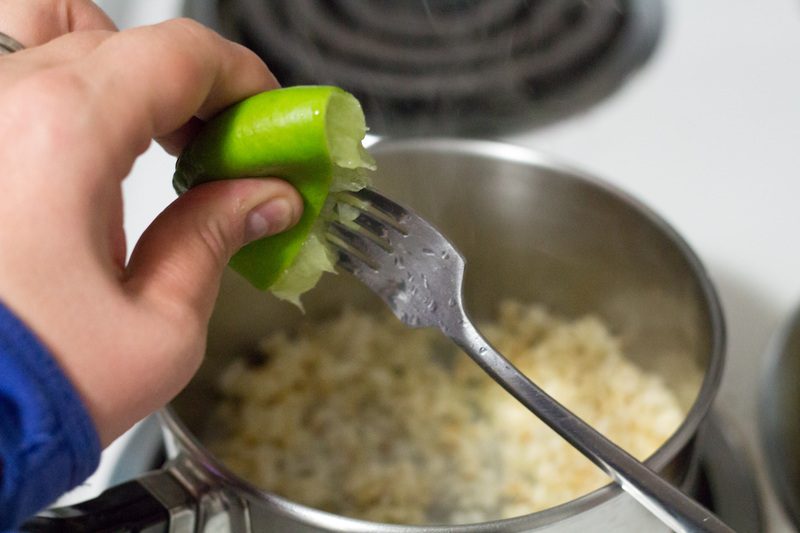 I started with the rice, toasted it in a bit of butter, squeezed in the lime (the fork trick, by the way? 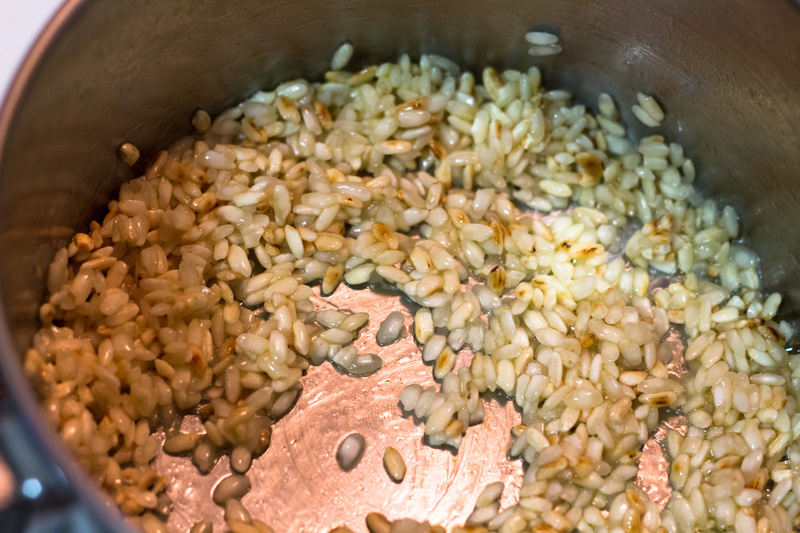 works like a dream), and began slowly adding broth and cooking down over medium heat until the rice was creamy and tender with the liquid absorbed. 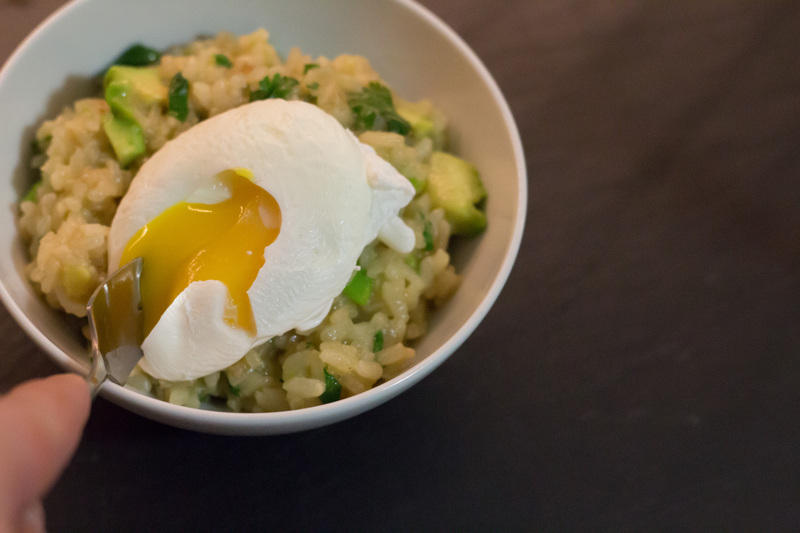 While the risotto is doing it’s thing, poach some eggs. CALM DOWN IT’S GONNA BE OK! I’ve been poaching eggs for about a week, so I totally get you. I was terrified of this forever – for no reason, as it would turn out. 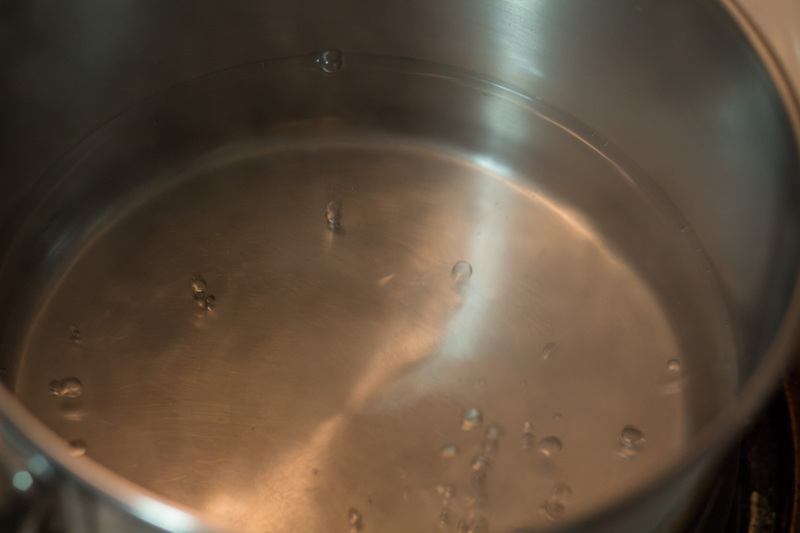 Boil some water and then turn it down. You want it as close to boiling as you can get without having it bubble over or you’ll beat the crap out of your delicate little eggs. 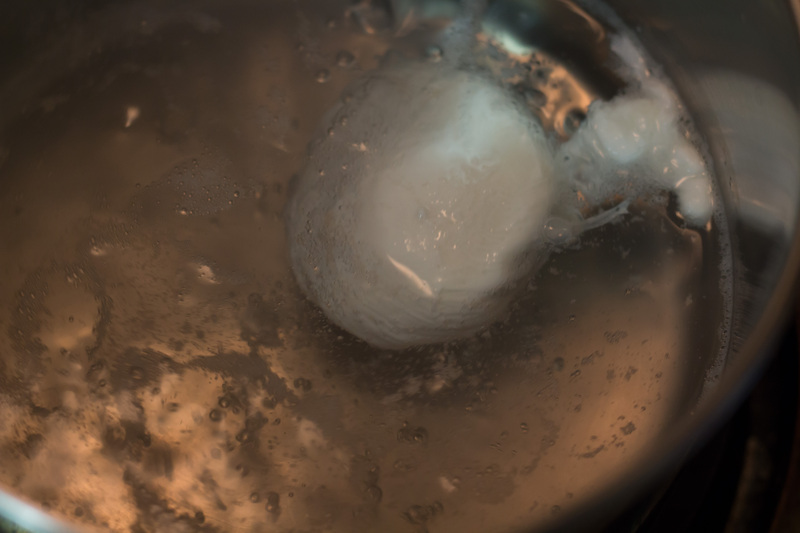 The egg will look a little like a sad jellyfish. That’s fine, just gently stir it and move it along, pushing it back on to itself and preventing it from settling on the floor of the pan (it’s hot down there) for exactly 3.5 minutes. 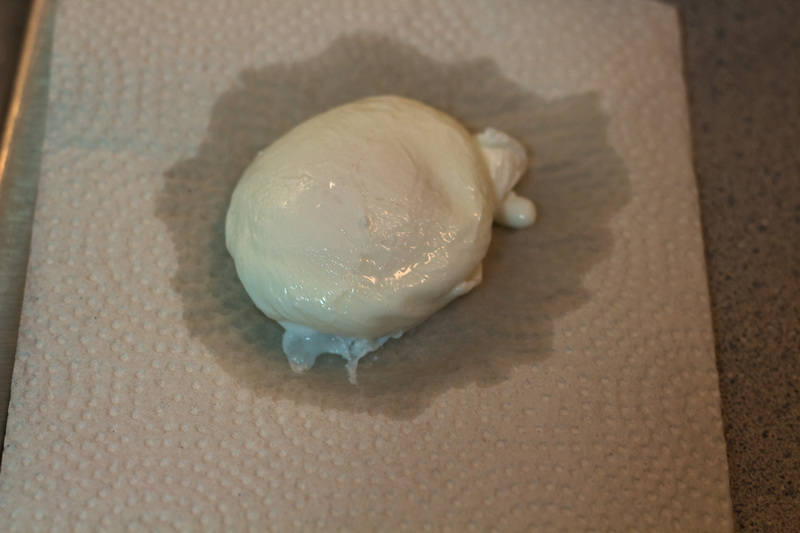 After 3.5 minutes, gently lift your egg from the water and place on to a paper towel. 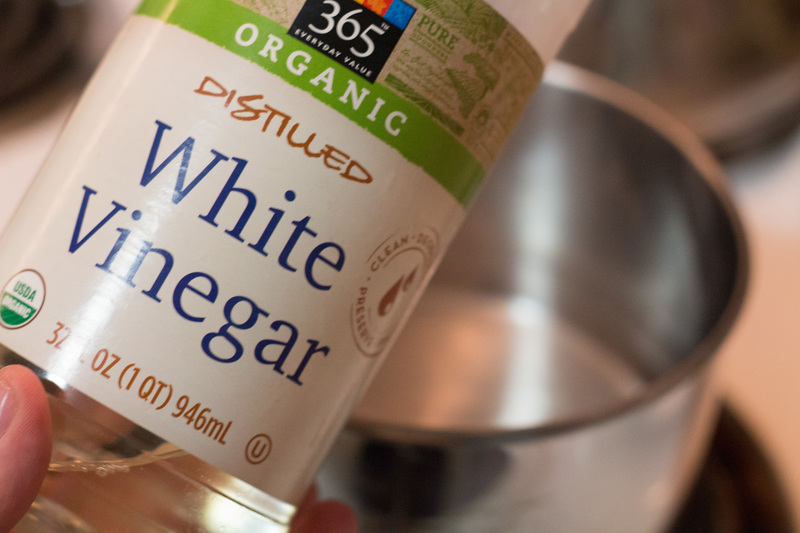 Nobody wants soggy vinegar egg water on their risotto. Nobody. Dry that thing off. 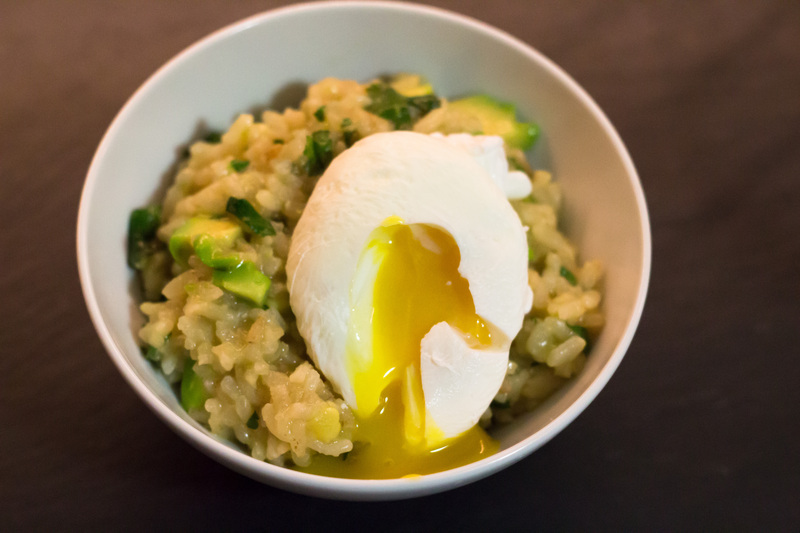 Your risotto should be just about ready by the time you’ve poached four eggs (about a half hour if we’re being realistic.) 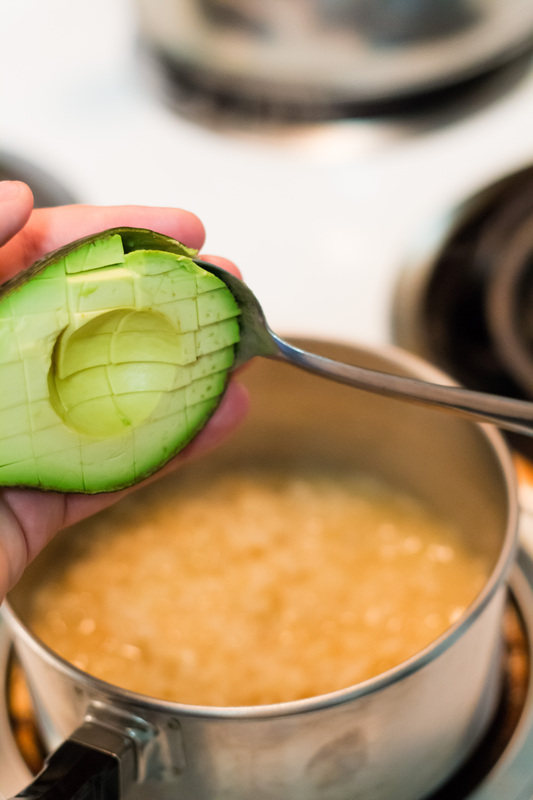 Take your avocados and split them in half, remove the seed, score in to cubes, and gently scoop out in to the hot risotto. 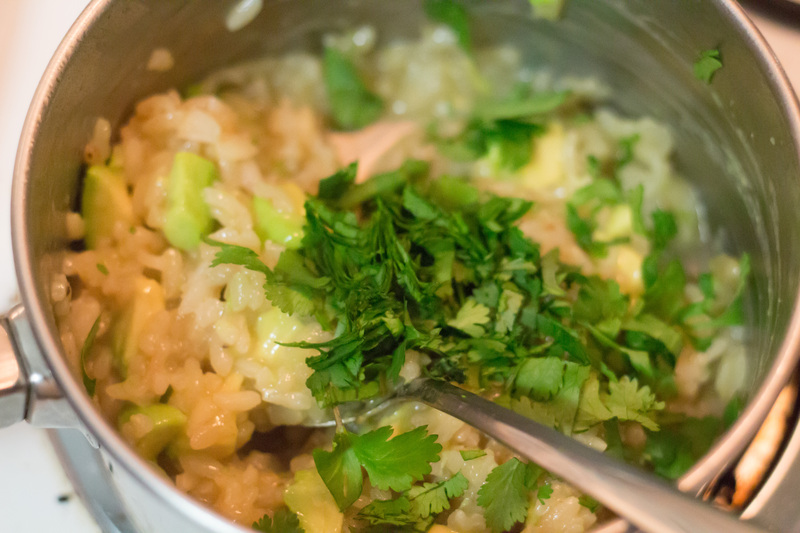 And the cilantro, of course, just coarsely chop (or as I did, cut with kitchen scissors) the leaves (and some stems, who cares?) right on in. 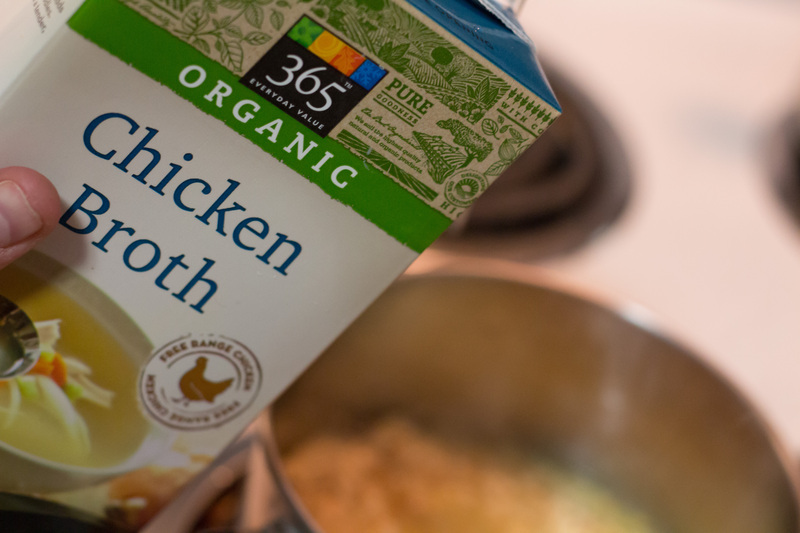 Stir it all together, it’s going to be delicious. 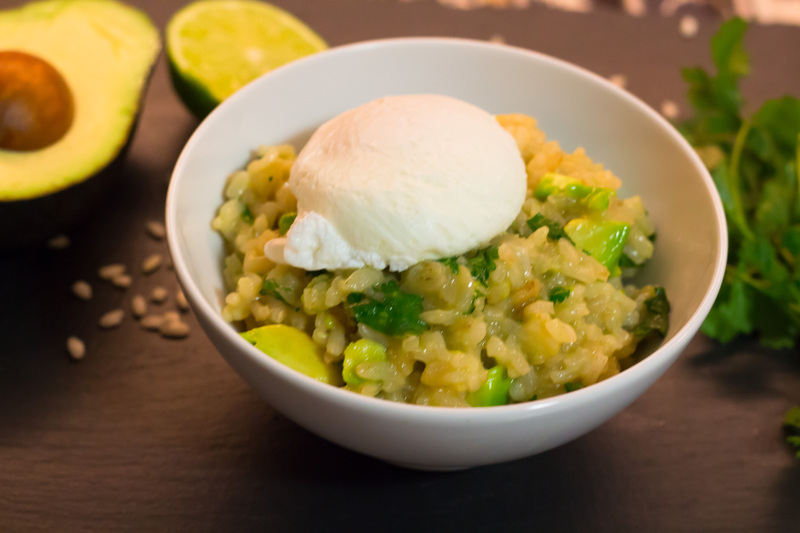 Divide between four bowls and top each with a poached egg. Cilantro? Good. Lime? Good. 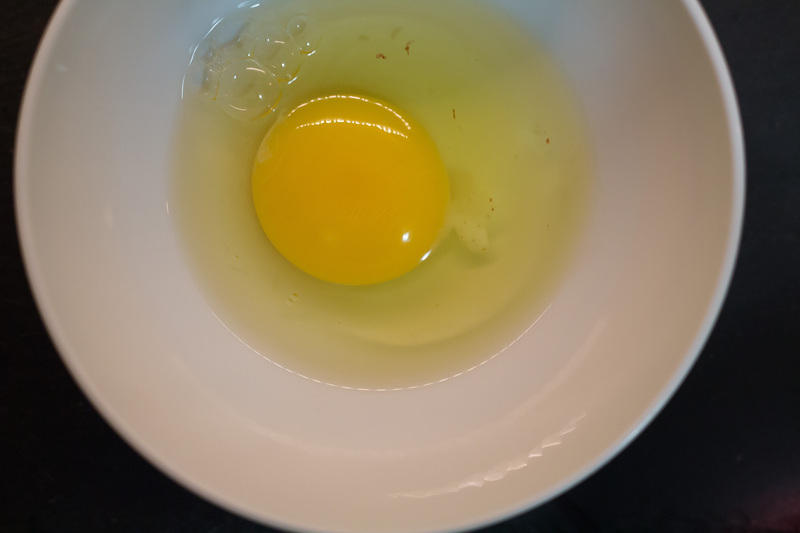 Egg? Good. 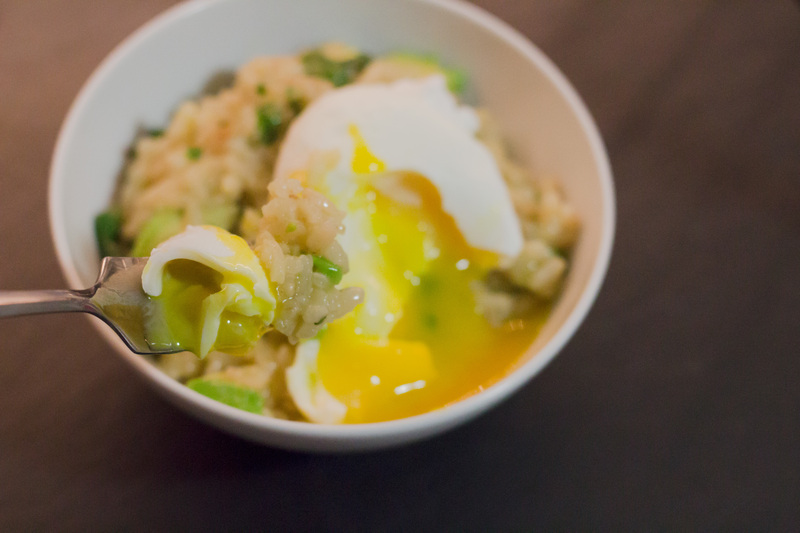 Now, not only does it look beautiful, when you break that yolk into the rice? Creamy, rich, delicious decadence that – wait for it – is under 450c a serving and packed with protein. 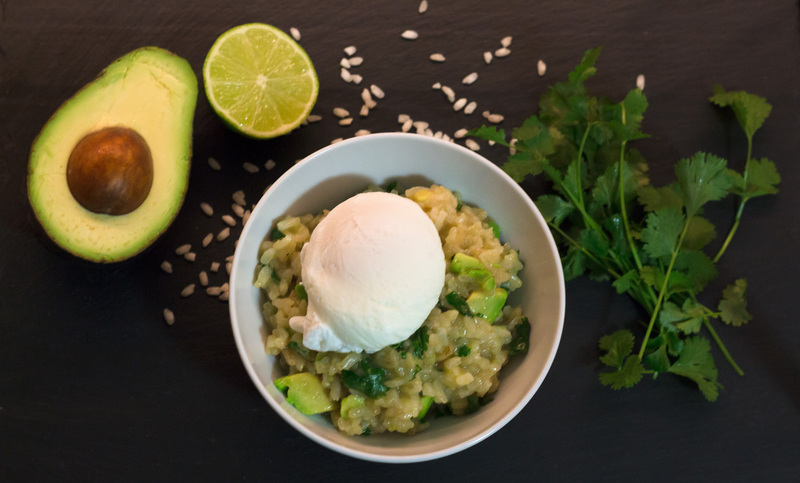 I didn’t want to scare you off at the beginning by telling you how healthy this risotto is, but notice – no wine, no cheese, minimal butter (that could totally be subbed out with olive oil) – the egg yolk adds all the richness you need, and the risotto is so naturally starchy you’ll forget it’s nearly dairy free. So go. Break that yolk. It’s gonna be great.